The purpose of the Recovery College South East is to provide recovery orientated educational courses and workshops for people who experience mental health challenges, psychological distress, addiction and other challenges. People who access mental health/substance misuse and social inclusion services. 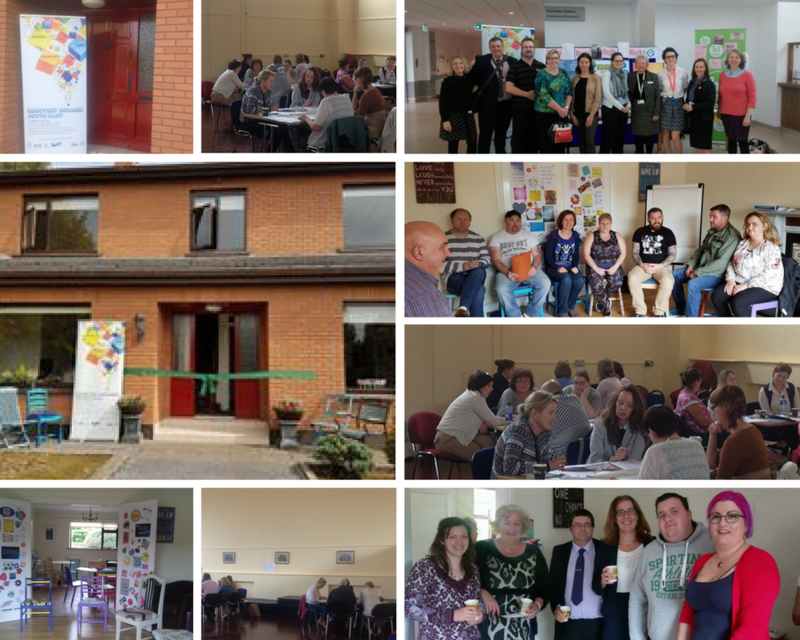 Professionals and volunteers who support people on their recovery journey. Carers, supporters, friends and families. All are welcome. These courses are co-produced by people with lived experience of life challenges, family members, supporters and professionals. Courses and workshops at the Recovery College South East are for everyone. Recovery College South East uses an educational approach to develop strengths, talents and personal resources. By facilitating the learning of skills that promote recovery, improve confidence and self-belief we are enabling individuals and communities to recognise their own capabilities, resources and resourcefulness to reach their full potential. Recovery College South East will support people in developing their own recovery plans, in becoming experts in their own self-care, developing and growing peer support networks and encouraging people to learn from others who have faced mental health and or addiction challenges. By providing courses and workshops that will empower you to achieve your personal goals Recovery College South East hopes to inspire and support you on your own personal recovery journey.